10 Delectable Black-Owned Brunch Spots in the U.S.
Brunch is incredible - the options are limitless! Whether you’re craving eggs and hash browns or a burger, you’ll be able to order it at brunch. But it’s not just the food that has people falling in love with brunch; it’s also the atmosphere and the company we keep as we eat. 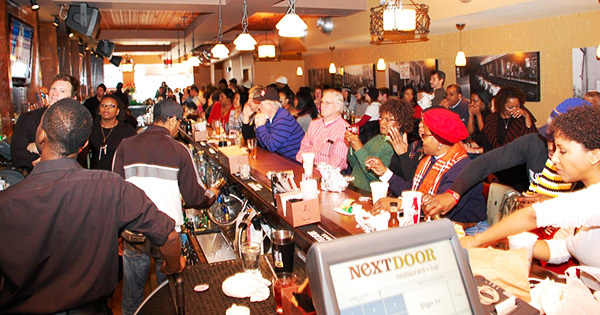 So, if you’re looking to enjoy time with friends and dig into some good grub - all while supporting Black businesses - we have some of the best Black-owned brunch spots from across the country. SoCo has brought southern flavor to NYC with an incredible brunch, lunch, and dinner menu. Their brunch features items such as sweet potato pancakes and creole gumbo—it’s easy to find something you like here. Known for their famous French toast flight, Batter and Berries use their passion to provide good food to good people to drive them to success. Their team strives to live out the idea of happy people, happy business. Kiki and her husband opened their restaurant in 2012 and have been thriving ever since; they’ve been serving delicious soul food dishes to customers for years. Their brunch includes fun items such as red velvet waffles and they always find ways to get their flavorful fried chicken in their dishes. Oeste offers Saturday and Sunday brunch, giving customers satisfying dishes such as shrimp and grits and huevos rancheros. The three female co-owners work hard to show that Oeste celebrates and its Oakland roots as well as the city’s rich culture and history. Delicious food at a fair price - Ben’s Next Door has everything you’d want in a good brunch. Scrumptious food (like their crab cake sandwich), lively entertainment, and wonderful service bring people back for more. Owner Wayne Baquet is serious about doing Creole-Soul traditions proud. His restaurant serves consistently delicious foods, and their uniquely flavored brunch has everything you could possibly want. Firm believers that the combination is only as good as its individual parts, Lo-Lo’s has created some of the best chicken and waffles - but their flavor extends to more than just that. Everything on their menu is full of flavor and spice. If you’re looking for spice, soul, and jazz in Boston, all while munching on some tasty brunch, Darryl’s is the place for you. Each Sunday brunch experience comes with great food and live jazz entertainment. Negril is the place where “spicy meets spacious,” and “caliente meets charming” - you won’t be disappointed if you come to brunch at this renovated firehouse. Their brunch list includes dishes such as oxtail pasta and banana foster French toast. One of Nashville’s premier brunch spots, Garden Brunch Café is full of delectable items. From butter pecan pancakes to salmon cakes, they have many options to fill up your belly.